Home KAN CHILLiN Lebron James named SI Sportsman of the Year! 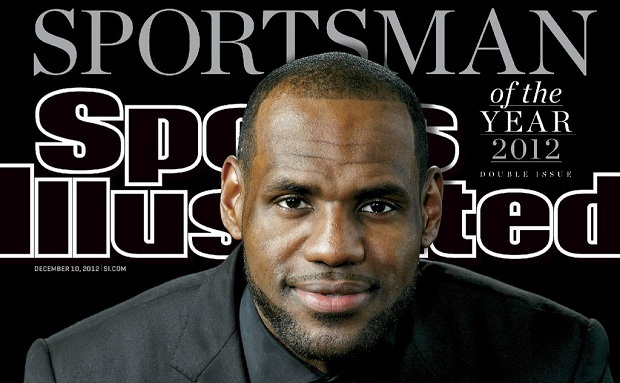 Lebron James named SI Sportsman of the Year! Lebron was surprised with the Sportsman of the Year award, not because of his phenomenal 2012 season (second Olympic Gold, first ring, first Finals MVP, third MVP award), but because of his unpopular 2010 “Decision” to move from Cleveland to Miami ! Does Glee need another black guy ?